Having been surrounded by family and friends in healthcare since birth, whether it be paramedicine, nursing, or chiropractic, Alex decided after finishing high school that he would try anything else. From construction to groceries to engineering, none of it seemed to fit and so he landed a job at a car detailing shop. After working there for a couple of years, he realized that he thoroughly enjoyed working with his hands and had also not yet considered a career in healthcare. Immediately, Massage Therapy caught his attention and Alex consulted old family friends who were massage therapists. It was love at first sight and he enrolled in the full-time program at Vancouver College of Massage Therapy to complete his 3-year diploma in 20 months. 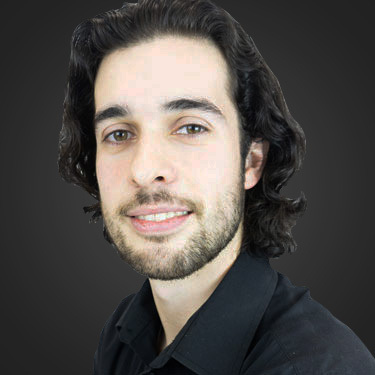 After graduating, Valedictorian of his class, Alex had the opportunity to work and connect with different healthcare professionals such as acupuncturists, a Doctor of Traditional Chinese medicine, and an electro-dermal screening technician. Alex’s focus in treatment is fascial work and creating balance with movement and tension throughout the body. Outside of the clinic, Alex enjoys getting outside, hiking, and camping as much as he can. Traveling to new places and learning new things are also passions of Alex’s, and he hopes to bring those passions to his practice throughout his career.